FRANCISCO GENTO MAY NOT BE A NAME that many of today’s younger supporters will recognise, however he is one of the most successful and decorated players of all time at club level. Though he didn’t know it at the time, Francisco Gento’s sixth European Cup winner’s medal in 1966 would create a record that still stands nearly half a century later. 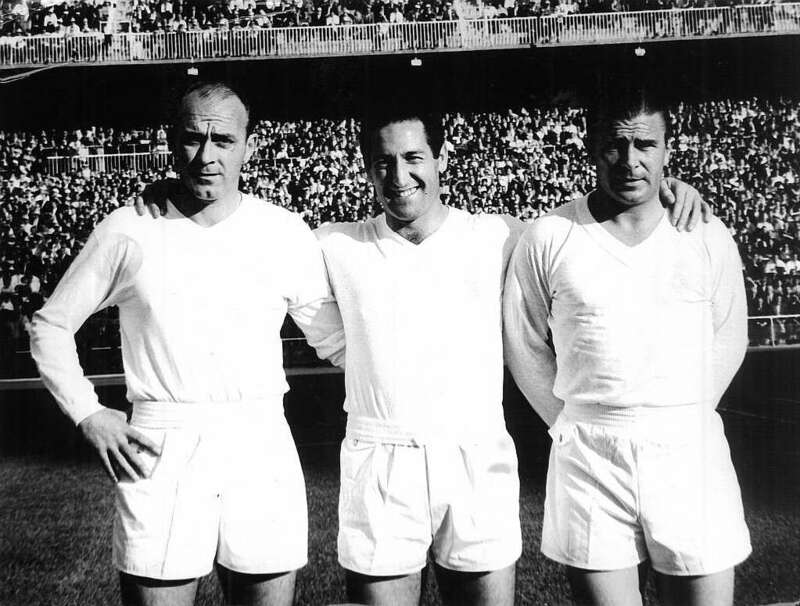 Paco, as he was known, also collected a record 12 La Liga titles with the great Real Madrid sides of the 1950s and 1960s. He also played in European club finals in three different decades, a wholly rare achievement. 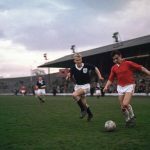 He achieved it feat by playing in European Cup finals in the 1950s and 1960s, and he was still there when he played for Real Madrid against Chelsea in the 1971 European Cup Winners’ Cup final. He is also the only player to play in the European Cup for 15 consecutive seasons. All in all, he played in the final on eight occasions, winning six. His record of eight finals was finally matched by Paolo Maldini, though Maldini only won it on five occasions. At international level, Gento represented Spain in two World Cups, in 1962 and 1966, but was unfortunate in 1964 when he wasn’t selected for the European Championships, which Spain went on to win. It was Spain’s first major success at international level, a feat they would not repeat for another 44 years until they won it again in 2008. Despite missing out on international success, he is still considered one of La Roja’s greatest ever players. Paco Gento was born in 1933 in Guarnizo, a village in the community of Cantabria. As a youngster, he played football but was also succeeding in athletics. It was his participation in the 100 metres where he undoubtedly developed his phenomenal speed, which later became his trademark. It’s alleged that at his peak with Real Madrid, he could clock 100 metres in around 11 seconds and was just as fast with the ball as without it. It’s little wonder, then, that he is considered one of the best left-wingers in the history of the game. Defenders must have loathed to see the sight of a charging Paco coming towards them, beating them fore trickery and speed and leaving nothing but his dust in their faces. He was the son of a chauffeur and the young and humble Paco had to leave school to help support the family early in his teenage years. He would eventually break into professional football, not with Real, but with his local side Racing Santander. His time at Santander was short-lived; he played just 10 games, scoring twice, before he was snapped up by Real Madrid. There would be no stopping the winger now. Timing and luck can sometimes mean everything and for Paco, these vital ingredients materialized at just the right moment. He stepped into a part of Real Madrid’s history at precisely the right juncture and rode the tremendous wave of unprecedented success in which he was a part of everything. In this respect, the same could be said of Phil Neal at Liverpool and Ryan Giggs at Manchester United. Just like Paco Gento, they too came into a team and won everything along the way. Gento played with some of the biggest names in football, namely Alfredo Di Stéfano, Ferenc Puskás and Raymond Kopa. Kopa was voted European Footballer of the Year in 1958 with the ‘Blond Arrow’, Di Stéfano, winning the accolade either side of Kopa. It’s quite unbelievable that the Ferenc Puskas, ‘The Galloping Major’, never won the coveted award, but he was still a legendary name, having played for the powerful Magical Magyars of the 1950s who many regarded as the best national side in the world at the time. Despite such big names in the team, Paco’s brilliance on the wing provided many a goal for his more illustrious teammates. He was no slouch himself, scoring 128 times in 428 appearances in the league, a world-class return for a winger. He had lightning speed and got to loose balls first, despite opponents having a head start on him, and he possessed two great feet and liked taking powerful long shots with either leg. Although known for his speed, he possessed a magical left foot with great, close control in tight situations and dribbled his way past two or three players before disappearing again down the wing to put in another inch-perfect cross. Playing in the shadows of more famous names, it speaks volumes about Gento that his medal haul more impressive than those of Di Stéfano or Puskás. Having won the European Cup for the first five years since its inception, it’s actually his sixth and last victory, against Partizan Belgrade in 1966, which fills him with most joy and satisfaction. He was the experienced campaigner now, as well as the captain. The team were now known as the Yé-yé Real Madrid, with Yé-yé being a reference to The Beatles song “She Loves You” with its “Yeah Yeah Yeah” in the chorus. After that sixth success, Catalan paper La Vanguardia, notoriously stingy in its praise of anything Madrid, reported: “Paco Gento embodies the old guard, the glory days, the flash of lightning launched on its way by a ball from Rial or Di Stéfano. No team ever played football the way that Real Madrid side did. The times were changing and it was the Swinging Sixties with The Beatles being at the height of their fame. Around this time, there was a photograph of Paco surrounded by several of his teammates wearing Beatle mop top wigs. They were The Beatles of the football world. His last European Cup triumph was in a side that was managed by a former teammate, Miguel Muñoz. Muñoz was captain when Real won its first two European Cups. He led them to success in 1960 and 1966, and became the first person to win the European Cup as both a player and manager. With all of the success Paco enjoyed, particularly in the European Cup, it’s ironic that when the competition first started, he and the other Real players had no idea as to what the new tournament was about. They did not fully comprehend the importance of the new competition, like many others around the continent, and how big it would eventually become. Real played their first game against Servette in Geneva in September 1955 but there doesn’t appear to be any footage of the game. 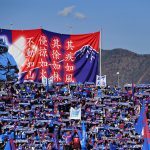 Gento said: “I must confess that we had no idea how significant the tournament would become. We went to play and that was it. Nobody explained to us what would happen, neither the competition format nor that it was going to be something important for many years to come. I don’t think we really realised what it all meant until we won the first title in the final in Paris. Then we were able to see what the European Cup was all about. It was something indescribable. In 1960, Gento participated in the inaugural match – a two-legged affair back then – of the Intercontinental Cup between the winners of the Copa Libertadores, at the time Peñarol of Uruguay, and Real Madrid, the European champions. The winner would be considered the best club team in the world. Real Madrid dismantled Peñarol 5-1 on aggregate with Paco Gento getting his name on the scoresheet. Unofficially, Real, and Paco, could now claim to be world champions. In 1971, after a glorious career, Gento made the difficult decision to call time on his career. After all, Father Time catches up with all of us and the decision to hang up his boots was not an easy one. In fact, for any professional footballer, retirement after so many years of doing something one loves can be incredibly difficult to take. Little wonder that there are players who cannot cope with the emptiness retirement leaves them with. Many have hit the bottle or even taken their own life. Agostino Di Bartolomei, the former Roma captain comes to mind. Shortly after retiring, he suffered from depression and shot and killed himself. It’s an emotional time, almost like the greatest chapter of one’s life being closed forever. Paco decided to stay in the game and undertook some coaching but he failed to reach the heights of his playing career. He ended up taking an ambassadorial role with Los Blancos. In December 2015, it was announced that Real Madrid president Florentino Pérez would be proposing a move to make Francisco Gento the honorary president of the club. The event was presented by Emilio Butragueño, a former Real legend and currently the director of international relations. Pérez said: “Gento is here with us today, he is one of Real Madrid’s legends and won six European Cups. Much of what we are today, we owe to the side he played in along with Di Stéfano. The Board of Directors is going to propose appointing him as honorary president of Real Madrid. Gento recalled his great teammate Di Stéfano saying it would be up to him (Gento) to win their third successive European Cup final in 1958. How prophetic Di Stéfano’s trust in his teammate would turn out to be. It was indeed Gento who scored the crucial winning goal in a 3-2 victory against AC Milan that kept the trophy in Madrid. It was obvious that despite all the big stars Madrid had at their disposal during these golden years, the biggest names actually had such faith and respect in the ability of their speedy friend on the left wing. During this era, Gento was the one constant, an almost permanent figure that delivered the goods time and time again. 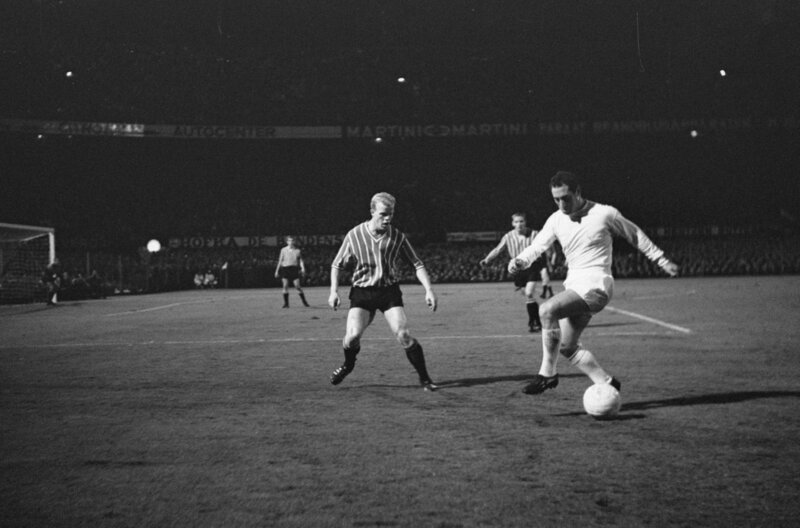 Francisco Gento is not just a Real Madrid legend but a Spanish one as well. It would be fitting to bestow upon him the title of honorary president, succeeding his old friend and teammate from all those years ago, Alfredo Di Stéfano, who passed away in 2014. With so much hard work he put in for Real’s cause, there is no one better than Gento, one of only three players along with Di Stéfano and José María Zárraga, who played in all the first five European Cup successes, to be named honorary president of the club that he served for so long and with such great distinction.